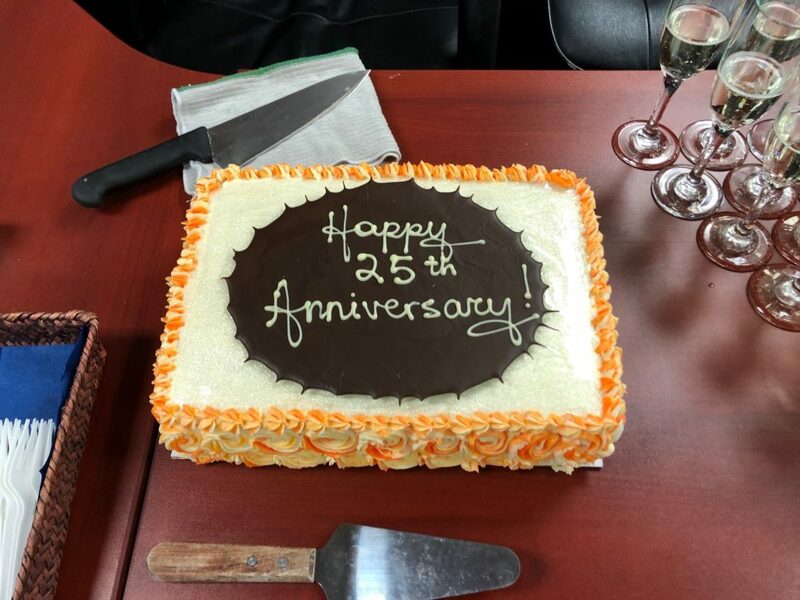 Microquest is 25! 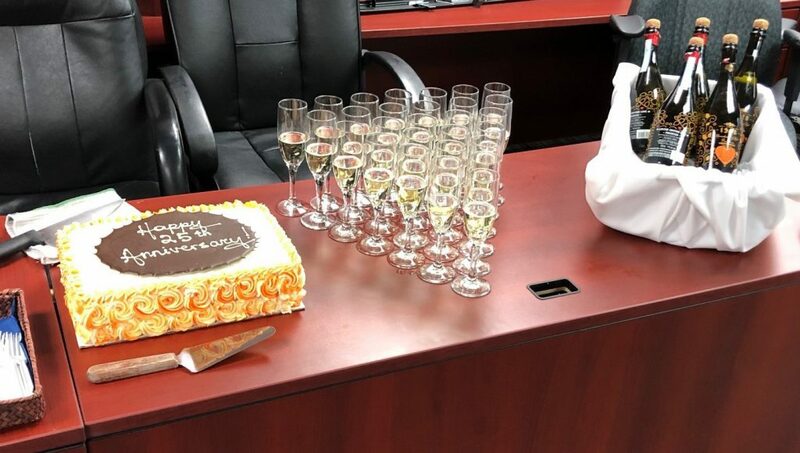 - Microquest Inc.
On March 15, 2018, Microquest celebrated our 25th anniversary. It’s almost unbelievable – 25 years! To celebrate, we had an awesome lunch buffet, with cake and champagne for dessert. We’ve got a few pictures. The lunch buffet from A Capella Catering (http://www.acappella.ab.ca/). The food was amazing. If you’re in the market for catering, check them out. Tasty, tasty carrot cake. Carrot cakes are the best cakes. A celebration just isn’t a celebration without champagne.